Insurance can be a complex and difficult subject for the lay person, and serious questions are often raised. 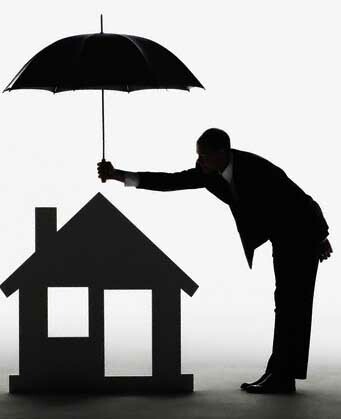 Here is a small sampling of the most common questions I have been asked in relation to property insurance. My responses refer mostly to the ‘standard’ homeowners insurance policy. I am not concerned about losing all my property. The worst that can probably happen is loss of the roof to a hurricane so why can’t I insure only 50% of the value for 50% of the premium, if I am prepared to take the risks on any amounts over that? Actually, you can (in theory) insure for any amount, however your insurance contract states that if, at the time of loss, the reinstatement value of your insured property is more than the sum insured (sometimes modified to 85% of the sum insured), then you are considered to be self-insuring for a proportionate share of the loss. To take a simplified example: reinstatement value of Home is $200,000, insurance policy for $100,000, loss for $40,000. Your settlement is $100,000/$200,000 X 40,000, or $20,000 (less your excess, or deductible, where applicable). In effect, the insurance company says that you are partially insuring your home from first dollar, not just the top half, therefore, you will share proportionately in every loss, just as you shared proportionately in the premium. The term we use in the insurance world is ’selection against the insurer.’ This is because the chance of a loss occurring in the range of, say $0-5,000 is higher than in the range of $5001-$10,000, which is, in turn, higher than in the range of $10,001-15,000 and so on, so the cost of insuring just the lower, (more risky) half of the value-range would be considerably greater than 50% of the premium, if it was offered. This type of ‘First Loss’ insurance product, while available to large complex commercial properties in some overseas markets and utilised in the reinsurance world, is not available for homeowners’ policies. I have seen so many different values for my home – the market value, the depreciated value, the Improved value listed on my Property Tax bill, I’m confused – which one do I provide to the insurance company for the house policy? There is only one value that interests the insurer – the cost to reinstate the structures on the property as new, at the time of loss, simply known as the reinstatement value. This does not include the value of the land itself, but should include, in addition to the structures, the cost of walls, gates, fences, swimming pool, and other installed features. Limited coverage may also be obtained on landscaping features, like trees and shrubs. An estimate for reinstatement value may be obtained through consultation with a reputable builder, quantity surveyor or certified valuer. The cost for a professional valuation for insurance purposes only is usually less than for a full market valuation, and is well worth the investment every few years, to ensure your value keeps pace with changes in construction costs and your property is not over/under-insured. Remember to ask them to list each major feature individually, such as main building, swimming pool, detached garage, walls gates and fences, etc. The time I accidentally dropped my Television while moving it, my claim was denied. How do I ensure that my $5,000 stereo and my $6,000 flat-screen TV set are insured for their full replacement value? What about my $20,000 Rolex watch? Firstly, a homeowner’s product is designed to provide protection that is common to a broad spectrum of consumers. In order to keep the standard premiums as reasonable as possible, there are limitations built into the policy. Every policy owner should spend some time familiarising themselves with these limitations. With respect to electronic equipment such as Televisions, computers, stereos and so on, the limitation is usually $1,000 per item, $2,500 in all. Some companies also include protection for accidental loss for new equipment only (not more than one year old) as part of the standard policy. In order to obtain full protection for these items, you need to simply provide a list (description, make, model, serial number, value) to your insurer or broker to have them scheduled on your policy. There may be a small cost associated with this. Protection is only provided while the items are at the ‘insured premises’ . Alternatively, you may have the scope of coverage increased to full ‘All Risks’ (essentially to include accidental damage). This is particularly useful for those items that leave the premises, like a laptop, or that Rolex, as you have several options such as ‘on the premises only’, ‘anywhere in the island of Barbados’ or ‘worldwide’. Obviously, rates vary, and the Rolex might also require a recent valuation. That 2% windstorm excess really concerns me. My home is 30 years old. Is there anything I can do at this point to make it more hurricane resistant? There are a number of products available on the market that you can install on your existing property, in advance of the hurricane season, to help your home ‘weather the storm’. For instance, hurricane straps may be retrofitted to an existing roof to ‘tie in’ the various components. It is also helpful to have roofs inspected annually for deterioration, including for things like termite damage or rot, loose or rusted screws and nails, loose sheets and shingles. It may even be beneficial to increase the number of screws/nails in the roof. If you are re-roofing, you might want to consider installing a ‘torch-on’ membrane, which will increase resistance to leaking if the roof is damaged in a storm. Consultation with a reputable contractor would provide valuable information in this regard. Broken glass from wind-driven objects or wind-driven water forcing its way under sash windows or between louvres is often problematic. There are several reputable brands of hurricane shutters available to minimise these problems, or sheets of ½” or ¾” plywood may be cut and fitted to some window and glass door openings in advance, in preparation for stormy conditions. Items around the exterior of the property that may become missiles in a storm should be safely stored, including patio furniture, construction materials, yard implement. One task that is usually missed is removal of coconuts from any coconut trees on the property. These can cause significant damage in a high wind. Richard Ince is a seasoned insurance manager and consultant with over thirty five years experience locally and internationally. He has held a number of senior insurance technical and management positions in Barbados and Canada. A Past President, Insurance Institute of Barbados, and Vice-President of the Association of Insurance Institutes of the Caribbean, Past President, Barbados International Insurance Association (BIIA) and Vice-President of the Barbados International Business Association (BIBA), Richard is a Chartered Insurance Professional (CIP) – Insurance Institute of Canada and holds a Certificate in Risk Management (CRM) – Global Risk Management Institute.